The time you have all been waiting for — after all the sleepless nights studying for finals and writing down your thesis. 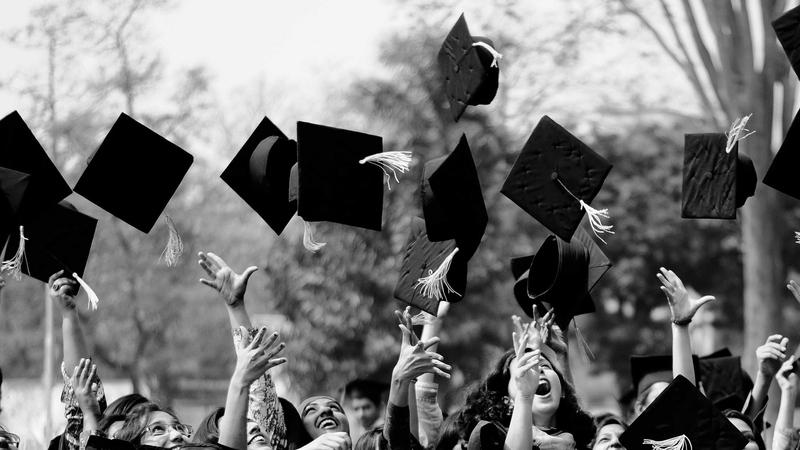 You let out a sigh of relief, walk across the stage in your graduation gown proudly, and take part in the tradition of throwing your cap up in the air. You take hundreds of pictures, your family give you a bouquet of flowers and you exchange tearful hugs with friends who have been by your side for at least the last three years of your life. I can still remember the mixture of emotions on my graduation day. It was mostly joy and pride, but at the same time I couldn’t help but feeling a little anxious about what lies ahead for me after that day. I had set goals for my future career, but I really did not know what to expect. I thought I’d go through the drill of going back home, send hundreds of resumes, get that ideal job and start building my career. It didn’t end up being like that at all, but that’s a story I’ll save for another time. Let’s start with a reality check, and I’m sorry for being blunt. But, really, the truth about life after graduation doesn’t get too far from this. The ideal life after graduation is you score that job interview in your dream company, and start making your way up the corporate ladder and achieve your career goals. I’m not saying you won’t get to where you want to be, I’m just letting you know that the road towards your ideal career may not be as smooth as you thought it would be. It might just be that the working culture of the company you’ve always dreamed of working for suits you. You may realize halfway through that you prefer to grow your expertise in a completely different industry. You might find an inspiration and decide to start your own business, even though you’ve never dreamed of becoming an entrepreneur. I could continue with numerous other scenarios, but my point is: some things may not go the way you think it would be, and that is okay. It seems that life enjoys throwing a curve ball at fresh grads like us, and when it does, don’t ever let it get you down. If you continue working hard towards achieving your goal and believing in yourself, you will undoubtedly find your ideal career path. The bittersweet fact about studying abroad is the fact that you will eventually have to say goodbye to the friends you’ve made as soon as your study ends. You have met people you consider as family, and they are those who have made an unfamiliar country feels like home to you. You will obviously promise to stay in touch on Facebook and Skype every other week, but in reality, it isn’t that easy. Plus, you will have to think about the 3 different time zones and what not. Although it won’t be easy, I still urge you to make an effort to maintain the relationships you have fostered while you were studying abroad. Obviously, nothing will ever be the same again. But, it won’t hurt to keep each other updated once in a while. Congratulate them on their achievements, and on landing their first job; tell each other about the highs and lows of job-searching, and encourage each other to never give up. You might only speak a couple of times in a month, or even less, but that doesn’t matter. What matters is that you show how much you value your friendship over these years. I don’t know about other graduates out there, but when I came back home I kind of felt that my circle of friends shrunk. I mean, the last time you spent a full year in your hometown was when in high school. Now, who knows where everyone is. Some might be back in your hometown for good, while many others are dispersed around the globe. It feels strange and you may not feel like you’re home. So, I’d like to reiterate my previous point, and urge you to always, always maintain good relationship with people around you. You might only keep close contact with a number of people at home, these would most likely be the group of friends you can always count on. The ones who have known you inside-out. Keep them close to you, because their support will be priceless as you maneuver your way into adulthood. Plus, who knows, they might be the starting point to grow your professional network back home! You’ve probably been told this a lot of times before, but I can’t agree more of how true it is. Your time to learn won’t end once your formal education ends. It continues as you take the first steps into building your career and finding your purpose. You might find yourself plunged into an industry you know close to nothing about, and you would have to learn about how every aspect of the business works from scratch. And when you find yourself in this situation, I encourage you to be excited and stay hungry for more knowledge and experiences. Most importantly, don’t ever stop racing until you have reached your goal. What comes next is a roller-coaster and I hope you will enjoy the ride.